Quilting is back, and now its not exclusive to the classic furniture brands and designs. 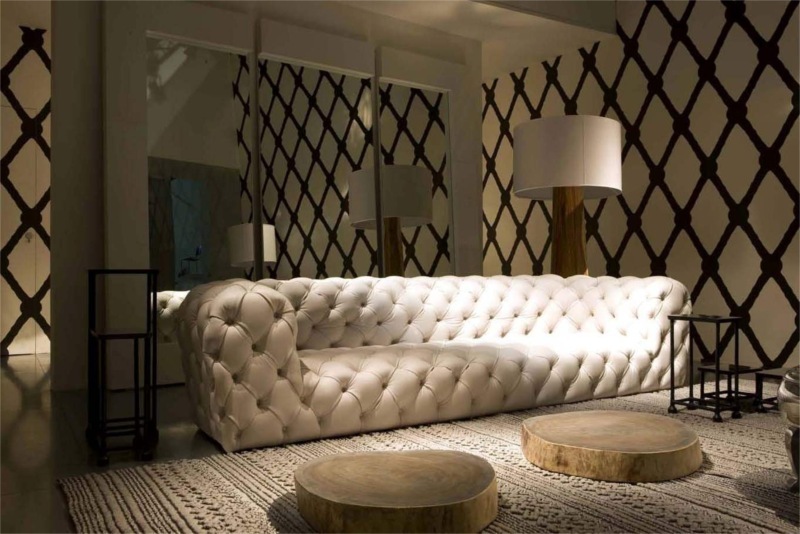 The detailing that was once a signature of the English Cigar lounge look has now been recreated, thanks to one of the top brands in the furniture industry that is known for its luxurious leather lounges and out of the ordinary designs. Baxter is a “unique brand devoted to a sophisticated clientele which appreciates contemporary luxury and moods that are consistently new and amazing”. Last year Baxter released one of their icon pieces, the Chester Moon by the very famous architect and Designer Paola Navone. It was released as part of an African inspired project presented at the 2009 Maison et Objet. In this collection, leather is presented as a new and versatile material, which is the utmost expression of quality and naturalness. Paola Navone reveals a decorative, new and unexpected side of leather in this line. The Chester Moon sofa is a fully handmade sofa that takes up 45 days of manual labor. Baxter’s Chester moon comes in 4 dimensions and reaches up to 395cm. Whatever the finish or dimension it should be treated in the space its in as a “statement” piece, against it should be a contrasting mellow yet elegant item that would allow it to accentuate. In an amazing AD by Nespresso and featuring George Clooney, the Chester Moon sofa was used to portray a cloud in heaven, which is exactly how it feels. 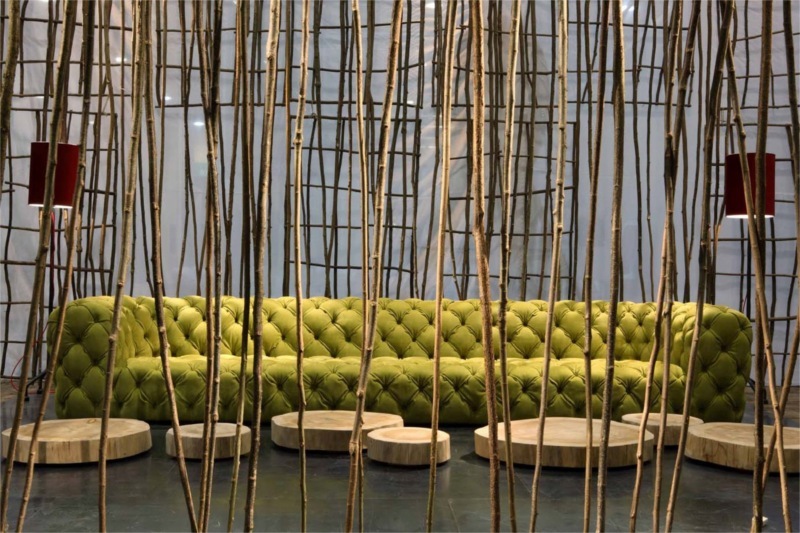 For the Maison et Objet 2010 Paola Navone worked on the Evergreen collection with themes and colors from nature. The Chester Moon was part of it in the Nubuck leather finish. 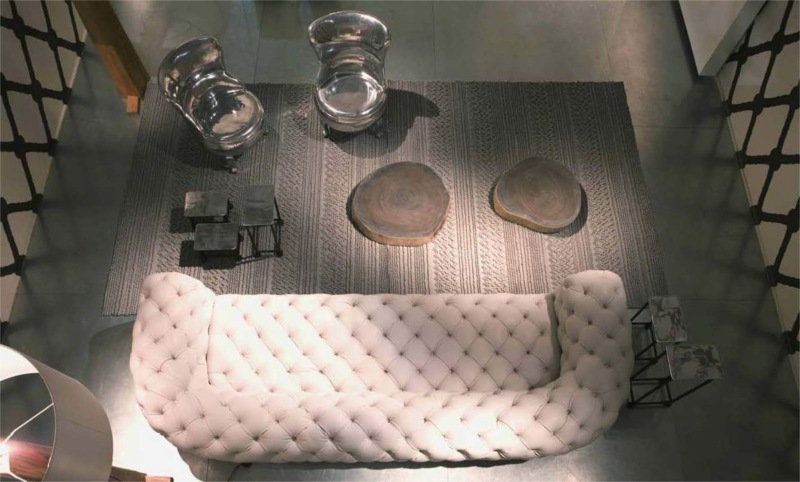 I saw this particular sofa here in Kuwait at Design Circle in Tilal Mall Shoueikh, it is breathtaking. Paola Navone has a straightforward approach, a visionary style and an eclectic philosophy. Her soul is full of the flavors and colors of the Orient, which she knows, loves and visits, and the taste and forms of the West, rich in traditions, open and on the move.